THE WATER SUPPLY in Dublin could fail after 70 days, Irish Water has warned. The company said it has been “closely monitoring” water levels in the Poulaphuca Reservoir, which is fed by the River Liffey, since the beginning of the recent drought period. Since early May the water supply to the region has been delivered from the available storage. The reservoir previously had enough water for about 150 days, something Irish Water described as “a healthy position”. In a statement, Irish Water said it is essential this storage is conserved so that the Greater Dublin Area has sufficient water to last from now until October. “We know from historical records that in a dry autumn it takes to the end of October before lake levels stabilise and begin to rise. It is therefore essential that the water conservation programme is continued throughout this period to ensure that heavy water restrictions, that would impact on homes and businesses are avoided. The statement added that, even with normal rainfall levels, it is important to minimise usage to “ensure that the storage levels are fully restored during the coming winter, so that the position is as secure as possible going into 2019″. Irish Water said the serious drought experienced this summer has “underlined the risk to the Dublin region water supply and the need for much greater resilience to cope with this type of climatic event”. In the short term, this resilience must come largely from leakage reduction (a major programme is under way) and vigilant water conservation. In the longer term, a new major source is critical to support population growth and economic development. The utility added that levels in Poulaphuca, and at other reservoirs, will be determined by future weather conditions. A hosepipe ban and other water restrictions remain in place throughout the country. 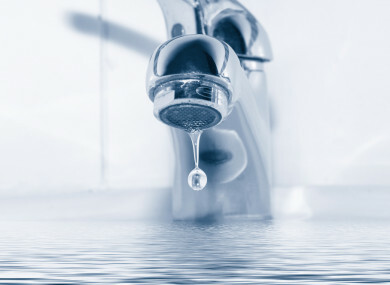 More information on how homes and businesses can conserve water can be read here. Email “Dublin water supply could run out in 70 days ”. Feedback on “Dublin water supply could run out in 70 days ”.